Petrakis P.E., Kafka K.I. (2016) "Entrepreneurial Creativity and Growth", in Franco M. (Ed.) Entrepreneurship, Publisher: Intech. Petrakis P.E. (2016) On the Greek Growth Model: A Collective Contribution, in Petrakis P.E. (Ed.) (2016) “A New Growth Model for the Greek Economy: Requirements for Long-Term Sustainability”, May, Palgrave MacMillan, Chapter 1. Petrakis P.E. (2015) “The Long-Term Role of Culture on Innovation and Competitiveness”, In Carayannis, Dubina (Eds.) Creativity, Innovation and Entrepreneurship across Cultures: Theory and Practices, Springer. Petrakis P.E. (2015) “Economic Crisis and Business Distress”, In Antoniou A.S., Cooper C.L. (Eds.) “Coping, Personality and the Workplace”, Gower Publishing Ltd, England. Petrakis P.E., Kostis P.C., Valsamis D.G. (2014) “The Crisis and the Setting of the Recovery”, in Petrakis P.E. (ed. ), “The Rebirth of Greek Labor Market. Building Toward 2020 Following the Global Financial Meltdown”, Palgrave MacMillan, Chapter 1, December. Petrakis P.E., Valsamis D.G. (2014) “Rebalancing and Jobs”, in Petrakis P.E. (ed. ), “The Rebirth of Greek Labor Market. Building Toward 2020 Following the Global Financial Meltdown”, Palgrave MacMillan, Chapter 2, December. Petrakis P.E., Kostis P.C., Kafka K.I. (2014) “Structural and Cyclical Unemployment”, in Petrakis P.E. (ed. ), “The Rebirth of Greek Labor Market. Building Toward 2020 Following the Global Financial Meltdown”, Palgrave MacMillan, Chapter 3, December. Petrakis P.E., Kafka K.I. (2014) “Human Capital Supply”, in Petrakis P.E. (ed. ), “The Rebirth of Greek Labor Market. Building Toward 2020 Following the Global Financial Meltdown”, Palgrave MacMillan, Chapter 4, December. Petrakis P.E., Kostis P.C. (2014) “Macro-Models for the Greek Economy”, in Petrakis P.E. (ed. ), “The Rebirth of Greek Labor Market. Building Toward 2020 Following the Global Financial Meltdown”, Palgrave MacMillan, Chapter 5, December. Tsionas E.M., Petrakis P.E., Kostis P.C. (2014) “The Medium Term Projections: 2014-2020”, in P.E. Petrakis (ed. ), “The Rebirth of Greek Labor Market. Building Toward 2020 Following the Global Financial Meltdown”, Palgrave MacMillan, Chapter 7, December. Petrakis P.E. (2013) “Greece and the Eurozone: Staying or Leaving?”, In: “The Great Catalyst EU Project, Lessons from Greece and Turkey”, Lexington Books. Petrakis P.E. (2012) The Economic Environment, Annual report on the labor market, National Institute of Labour and Human Resources (EIEAD). Petrakis P.E. (2011) "University Research, Entrepreneurship and Growth", "Entrepreneurship / Book 2", In Tech, ISBN 979-953-307-861-7. Katsaiti M., Petrakis P.E. (2011) C. Seralos, “Silver Fashion (Griechenland), chapter in the book “Entrepreneurship” by Sacha Kraus, SprinerLink. Petrakis P.E. 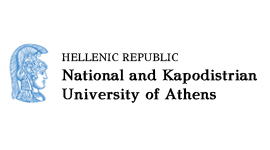 (2011) “Turning Points of the Greek Economic Activity: 1913 – 1939”, in Kalafatis T., Protzas E. “The Economic History of Greek State”, Publications of Piraeus Bank Group Cultural Foundation, Vol. 2, pp. 219-320.